Made to order to your size. 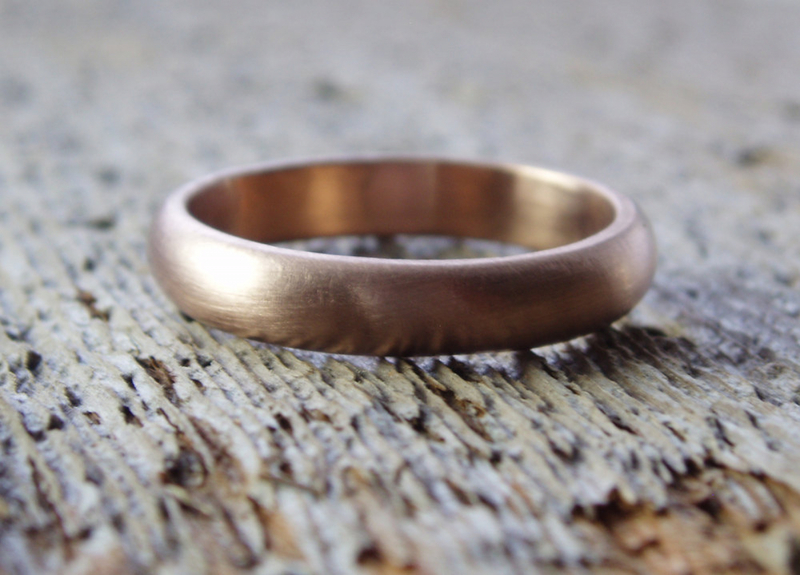 A beautiful 14k rose gold wedding band forged in the heart of the Spiral River with 4mm wide and 2mm thick recycled rose gold. 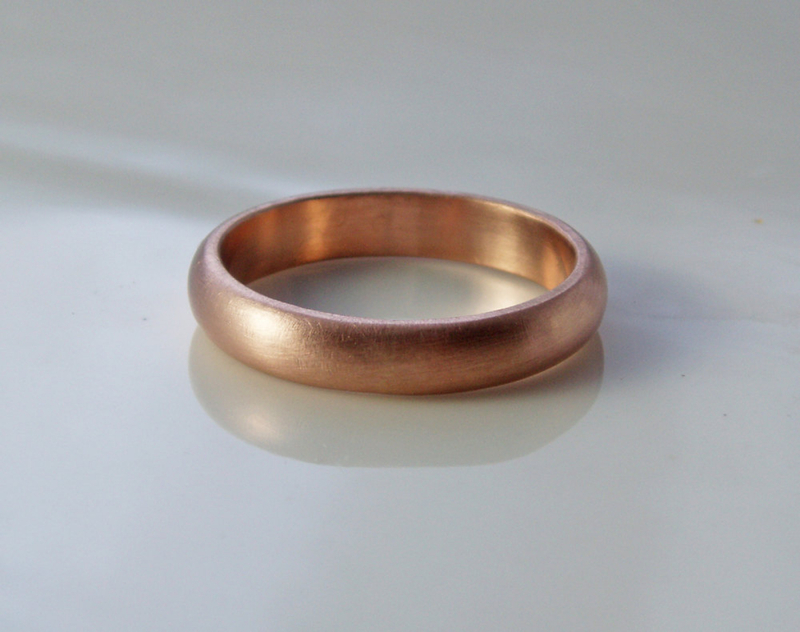 Feel free to talk with me about rose gold wedding band sets. You can chose your preferred finish: high shine or matte/brushed. 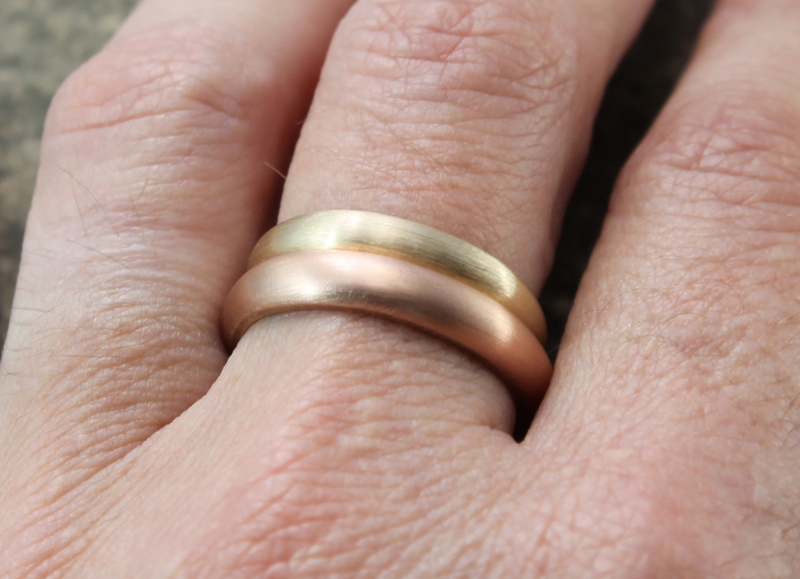 The matte/brushed is shown above. Please specify your preference when you check out.